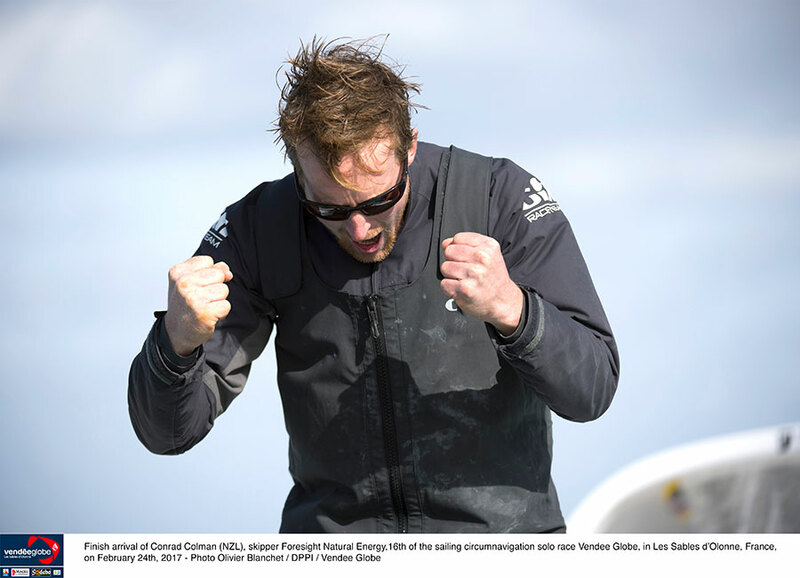 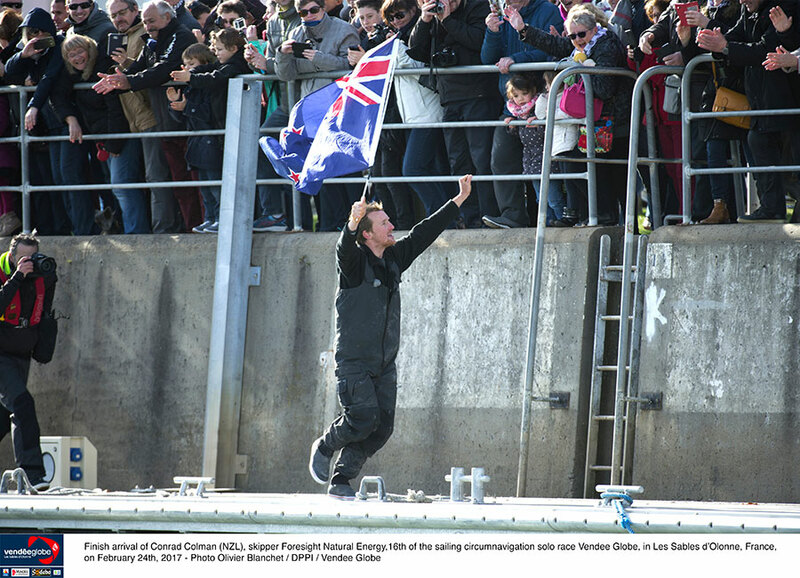 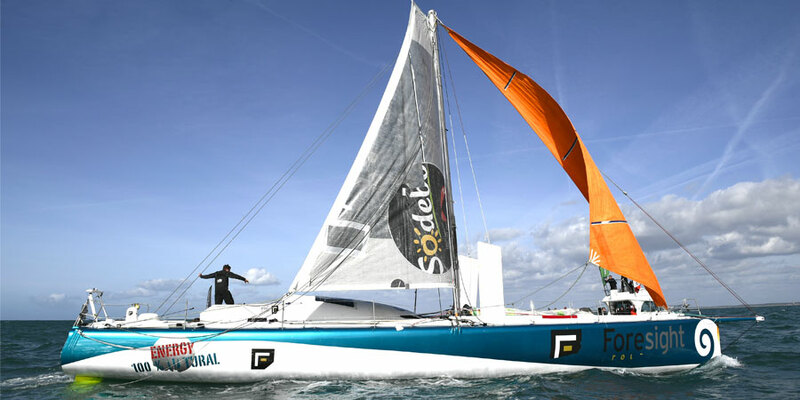 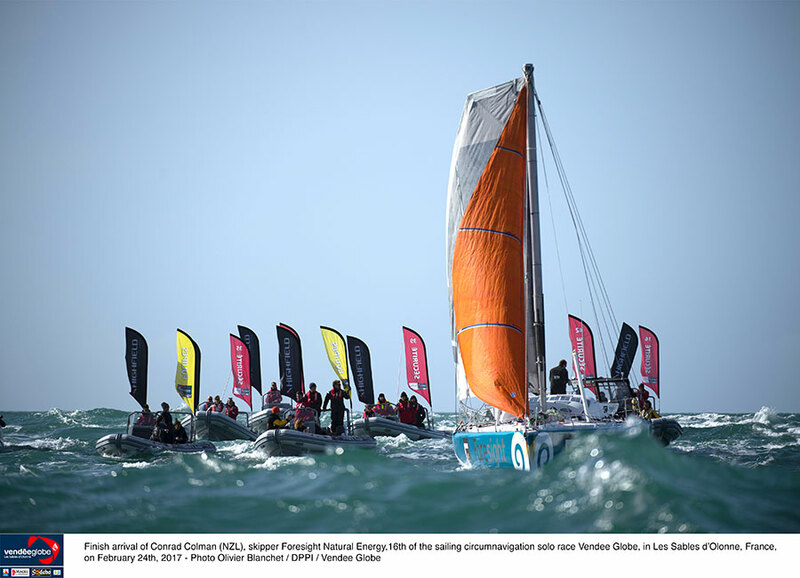 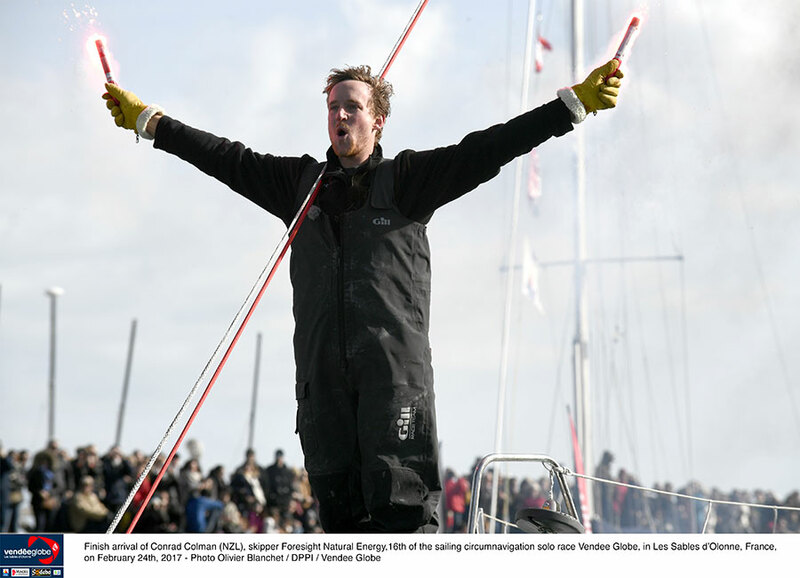 New Zealander Conrad Colman wrote a new chapter in the storied history of the Vendée Globe when he crossed the finish line of the eighth edition of the non stop solo round the world race under a makeshift jury rig. 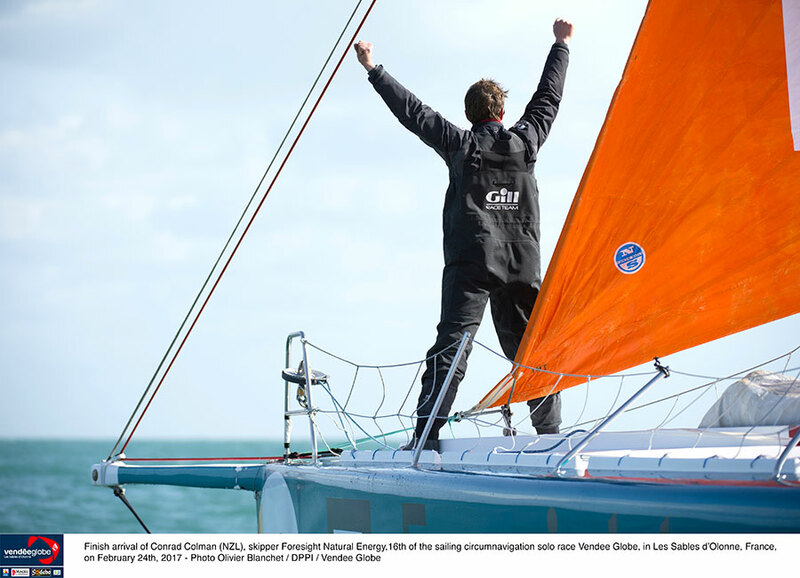 He took 16th place when he crossed the finish line at 1400hrs UTC. 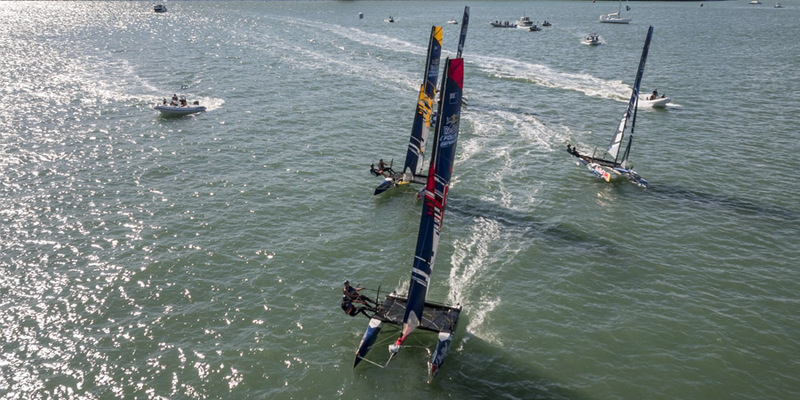 The elapsed time is 110 days 1 hour 58 minutes and 41 seconds. 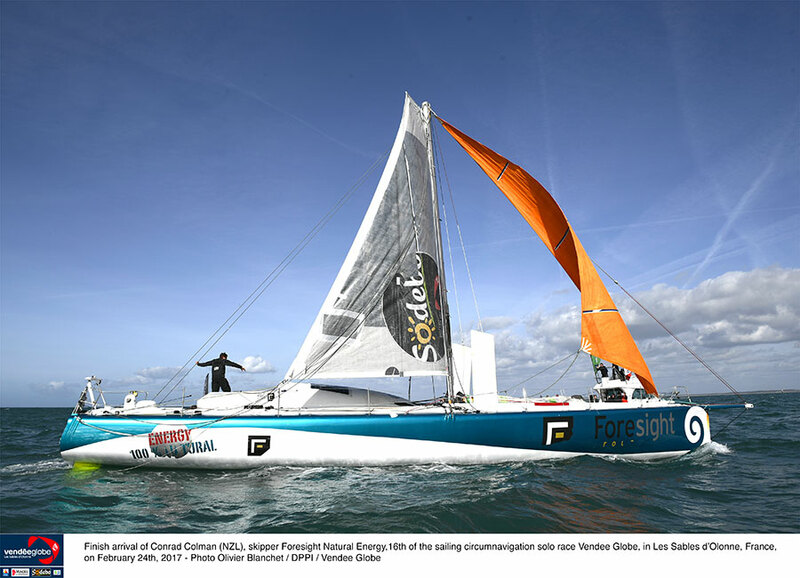 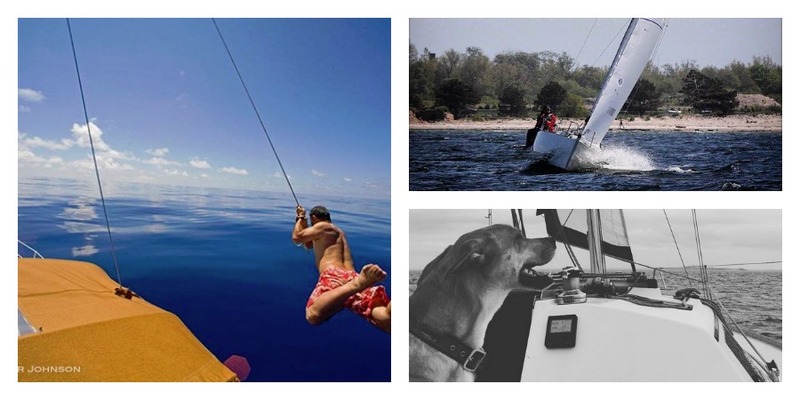 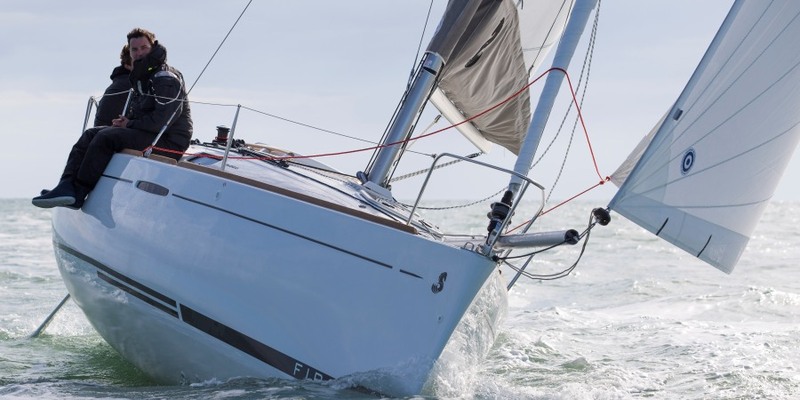 He sailed 27,929 miles averaging 10.57 knots.